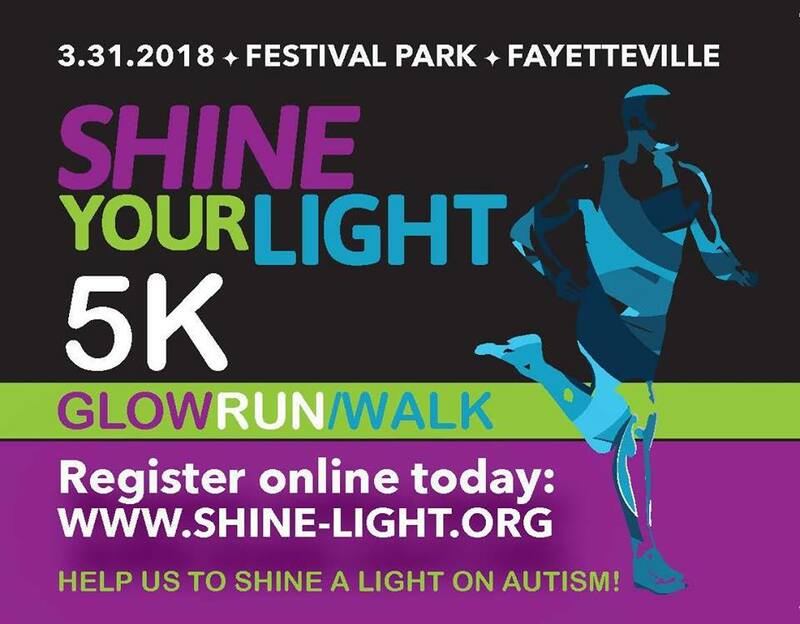 Please join us Saturday, March 31, 2018 at Festival Park in Fayetteville, NC for our Shine Your Light 5k. There will also be a 1 Mile Fun Run, a family friendly After Dark Glow Party, activities, and sensory sensitive areas for individuals with autism. 100% of proceeds for this event will benefit individuals in our community with autism. Register today and help us to shine a light on autism!